This winter Solstice for me is all about fresh starts. Honestly, a fresh start is what I sorely need. I looked back this morning at my second blogging entry ever, on my old blog. I want to re-capture that sense of wonder regarding spirituality that I had then. You see, at that point in 2008, I was just returning to Paganism after almost a decade on the left hand path. Every thing was new again. I was excited abut finding Druidry. I was trying to connect to my ancestral gods again for the first time in years. Most of all, I didn’t have all these per-conceived notions about what my spirituality should look like that I seem to have collected now. A few weeks ago, I really wanted to just set the slate clean. I decided to try Andreieh Vitimus’s Online Ceremony of Transformation. Reading the description it seemed to be exactly what I needed. So I prepared the mirror sigil and herb mixture the night before. So I burned the incense, brought out the mirror, and listened to the ceremony. It was amazing. I did indeed go into a very deep trance state. What I thought was interesting what that, even though it’s a guided meditation (which I normally don’t like), I’d spring ahead and see things before he actually narrated about them. Then I had a very intense experience. At one point I was dissembled. my body was suffused with light and I became the “space in between the spaces”. There was no physical body, not even an astral body, just the very spirit of my conciseness that exists in between all that stuff. Then I got put back together in reverse. After the ritual I was filled with energy and felt renewed. I had trouble sleeping, but when I did I had strange strange dreams. Even though I didn’t sleep well I woke up energized, refreshed, and renewed with this insatiable hunger to learn and re-engage my spirituality again. As a matter of fact I feel down right fantastic, better than I have in ages. Oh and I also shaved my head. That’s right, I cut it all off, and shaved it down to the skin. This is something I’ve wanted to do for awhile (My hair grows REALLY fast and I’m sick of needing hair cuts every few weeks or looking like a Sasquatch). This was strangely liberating, because it’s a territory most men fight tooth and nail to avoid. I felt like a new person facing the world, on my own terms. It was a very symbolic and meaningful act for me. More fresh starts, more of me taking my own destiny in my hands. However, I’m cognizant that simply taking symbolic steps to a new beginning is meaningless and useless unless followed up with real world actions. So many people get caught up with taking first steps they forget to take the second and third. So my spirituality is my own again. I have broken my chains, but how can I recapture that sense of wonder I had 3 years ago? As I’m writing this I’m realizing that I need to dismantle my altar too. 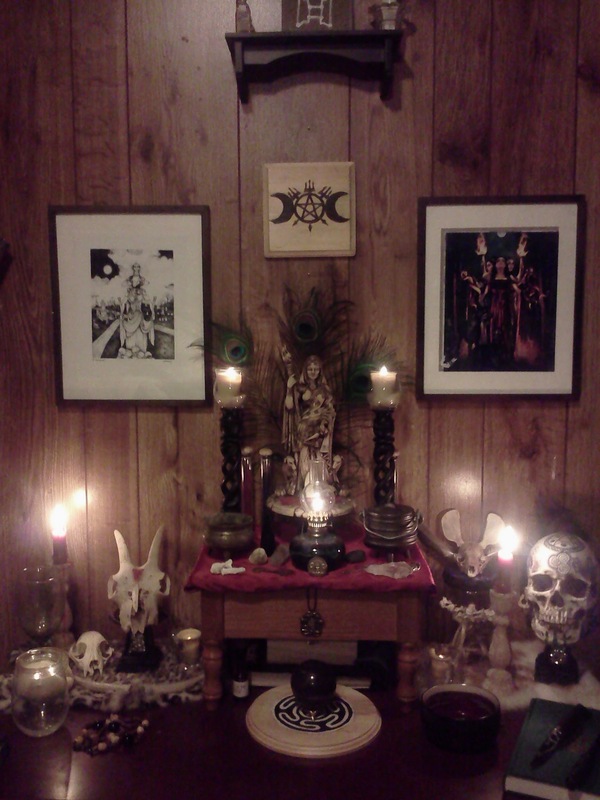 I am very fond of my altar, it’s a source of pride for me. I go to great lengths to maintain it, it’s the physical representation of my inner landscape. However, being that central physical representation of my inner world, I know that if I’m going to make any lasting changes, it too has to go. You know what? Dismantling it will be harder than cutting my hair. That alone tells me something, don’t you think. So tonight it goes and I start simple once again. It feels like the right thing to do. I’m tearing down the entire tower down to it’s base, rubble and all. I know one thing for certain is that I want to re-engage my Druidry. I simply put, want to be a better a Druid, one actually worthy of the title. This afternoon I plan to go out into the forest again, just like I did those 3 years ago. Thankfully it snowed this morning, making it all the more magical outside. 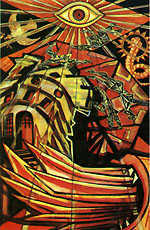 Then I plan to take the oath I wrote for myself for the Order of the Yew, which I plan to petition for entrance into. This entry was posted in Druidry, My Path. Bookmark the permalink. Congrats on the new start. It truly is a wonderful cleansing experience. Everything looks brand new and one feels a sense of wonder at what seemed so stale at first. Thank you for the well wishes! The blessings of the Trident upon you this season! Best wishes as you seek to renew your vows and start afresh. New beginnings are great. Will you post pictures of the altar once you redo it? Thank you! I might post pics. It’s pretty bare bones right now (literally hehe). I hope you had a happy solstice. Bare doesn’t have to mean not good though. I’d be curious to see what your refreshed altar looks like, what things you decided to keep and whatnot. I did have a great solstice… although my mind is swimming with questions about the Morrigan and my path at the moment. Amen to that! I was feeling the exact same way just a few weeks ago. For me, it was a weekend trip and a reunion with an old friend that inspired the change. I don’t know if its the season, but I’ve been reading a lot of similar posts lately. Everyone seems to be in need of a fresh start this year, and, for most of us, it’s really more about finding ourselves again rather than becoming something new. I’m glad you’re getting back on track and wish you the best of luck! Hi Nightjohn! Thanks for the comment. It’s interesting that you’ve noticed a lot of this this season. Change must be in the air! I wish you luck with your own change! My best to you. It’s interesting how often I find themes are shared through the pagan community. Maybe it’s a subconscious connection that draws people experiencing the same sort of thing together. Personally I view it more that as practitioners of various paths attuned to the spirits when a shift in the energy happens we’re all affected in similar ways. Not always, but sometimes I think. Well a new Star is always good four the Spirit, more if you really feel that is needed, though I have a question: ¿What would happen with Hekate? ¿You will continue to honor Her and your vows? I ask this because I know that you love Her, and Iam curious about it, nonetheless you will be always for me an Hekatean Brother. Cheers. Grimnir my Hekatean Brother! Of course I will continue to honor Her and my vows. I am not by any means abandoning Hekate! She herself has encouraged me to seek my ancestral connections in the Celtic and Norse pantheons, but there will always be a Hekatean altar in my home and I will always keep her rites. Just because I’ve begun honoring others as well, does not mean I will cease honoring Her! Cheers my friend! That was just the leveraging point for serious astral work we had been doing. Was my pleasure! It was truly a great ritual, and one I’m still feeling the effects of. Thank you for offering it!